You have just purchased your new wood flooring and you can’t wait to lay it in place and complete the transformation of your room, but you’ve heard conflicting rules about leaving the flooring to acclimatise. What is the right way to prepare your flooring? It is a common misconception that if you leave your wood flooring in its desired location for a few days, it will acclimatise properly and be ready for installation. This is not the case. In fact, this has is not related to how long the flooring is left sitting there. It has more to do with the control of the moisture around it. Wood flooring will always perform better if the humidity around it is kept between 30 per cent and 50 per cent, and the temperature is maintained between 15 and 27 degrees Celsius. This can be said for all types of flooring, including parquet flooring from Ireland, and is an important part of the preparation for installing your wood flooring. It’s not just the temperature and humidity that need to be monitored; the site or room that the flooring is to be laid in needs to be fully completed prior to its installation. 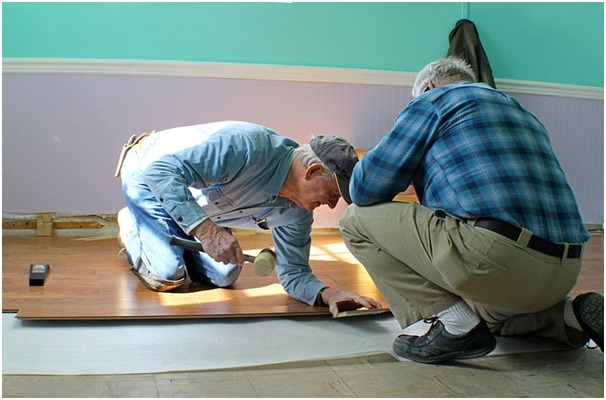 Factors such as plastering, painting and the installation of doors and windows all need to be completed prior to the hardwood floor being ordered. This will ensure that the humidity and temperature have been stable for a period of time prior to the flooring arriving. When purchasing flooring such as parquet flooring in Ireland, it is vitally important that you time its arrival correctly and store it properly. The points mentioned about prepping the site and completing work are just as important as storing the flooring. To maximise the effectiveness of the acclimatisation, cross-stacking and spacing the flooring in its intended destination encourages air flow around the boards, allowing the flooring to adjust to its new surroundings. Most manufacturers recommend a minimum of three days for all types of flooring, including parquet flooring in Ireland, to acclimatise. There is no maximum. If these necessary steps are taken along with due care and attention in the preparation and acclimatisation of the flooring for installation, you will have a lower chance of experiencing problems with your hardwood flooring and can spend more time to enjoying it in all its glory. Next Story → Safer? Perhaps. But will autonomous cars reduce the cost of motoring?